Welcome to the World Heritage listed Fraser Island, bastion of natural beauty and largest sand island in the world! Stunning vistas, sweeping rainforests, tranquil freshwater lakes and shifting sand dunes make Fraser Island one of the world's most unique island experiences. The Island is also a 4WD adventurer's dream, with 1,840 km² of land and plenty of tracks at your fingertips. 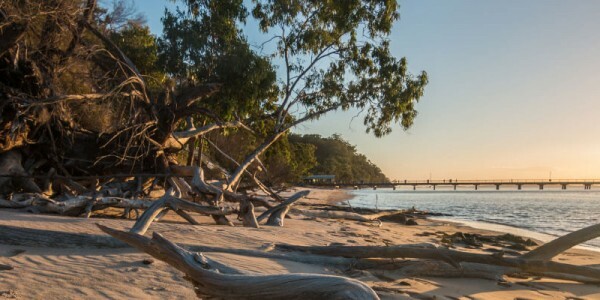 There is adventure and relaxation in abundance here on Fraser Island...whether you're looking to stretch out in a luxury resort or escape on a multi-day camping adventure, this fascinating destination has it all. 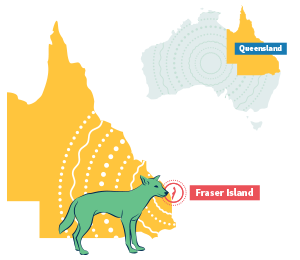 Find and book your Fraser experience right here: One day tours, guided bush ranger walks, self-drive 4WD hire for the adventurous, and luxury resort relaxation if you're just looking to kick back. 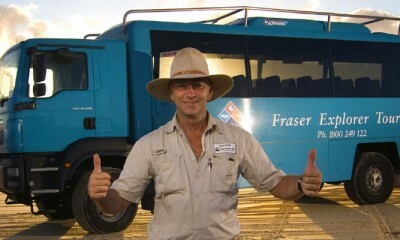 Full-day Fraser Island guided 4WD bus tour. Includes buffet lunch, fees and transfers. 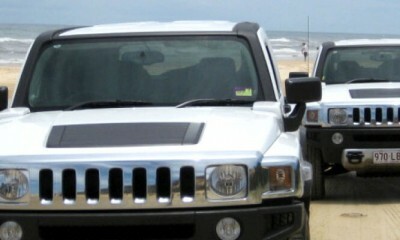 Fraser Island 1 day tour in 4WD Hummer! Limited numbers. Includes pickup from Hervey Bay. Experience the untouched and unique side of the stunning island with this exclusive one day tour. Fraser Island cruise with activities, swim, kayak, fish. Includes beach BBQ and transfers. 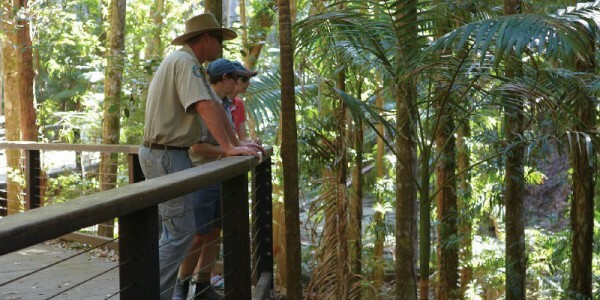 There are many guided tours to Fraser Island, from single day adventures to multi-day explorations. 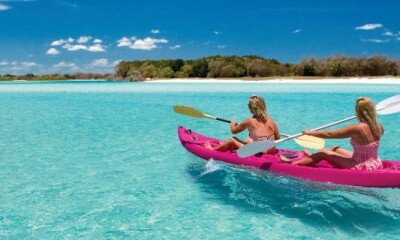 Tours departs from Hervey Bay, Kingfisher Bay Resort, Rainbow Beach, Noosa, the Sunshine Coast and Brisbane. 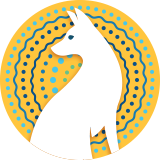 Fraser Island offers a wide range of accommodation options to suit all tastes, including luxury resorts, self serviced holiday homes and camp sites. Fraser Island is strictly Four Wheel Drive only. 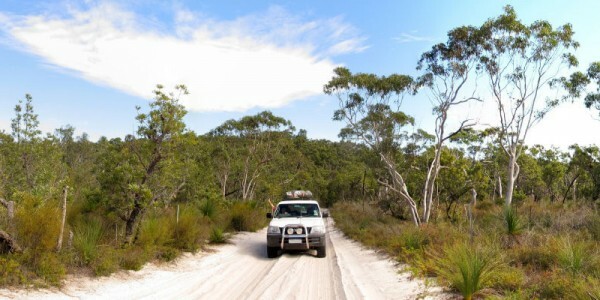 Bring your own vehicle across by barge (check park fees) or check out our Fraser Island 4WD Rentals.